Happy Ash Wednesday! Although we don’t celebrate Ash Wednesday, it does mark the beginning of celebrating Jesus’ death and resurrection for many! And this year I want to make an Easter countdown for my kids. I know Easter changes each year, but I still want to anticipate the big day by reading the true Easter story from the Bible in the weeks leading up to Easter. 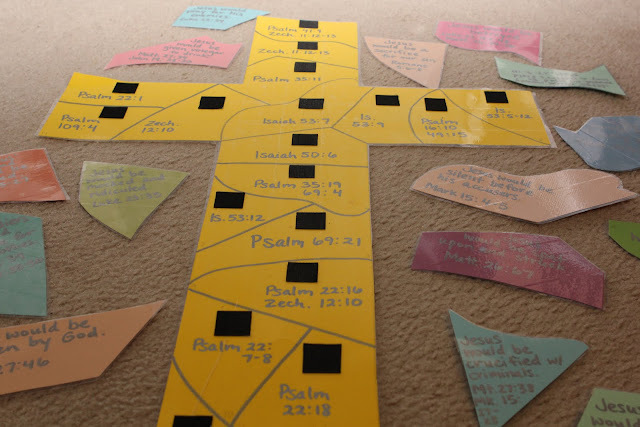 After some thought and research, I decided that we are going to teach our kids about the prophecy of the events surrounding Jesus’ crucifixion and resurrection in the Old Testament and the prophecies fulfilled in the New Testament. 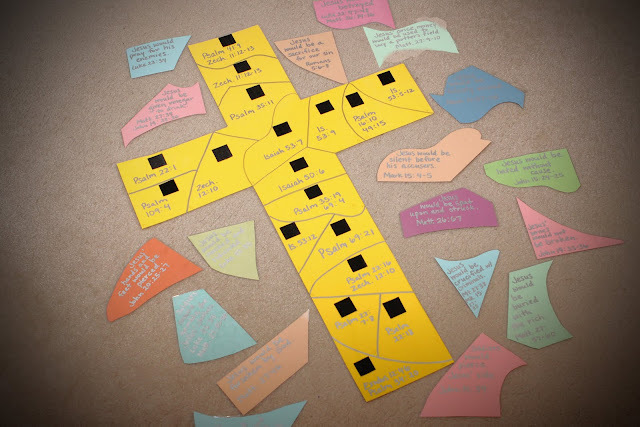 There are 18 main prophecies, so therefore I am making an Easter countdown for the 18 days before Easter. This year, the countdown will start on March 22nd. Here is how I used the Scriptures above in a countdown. 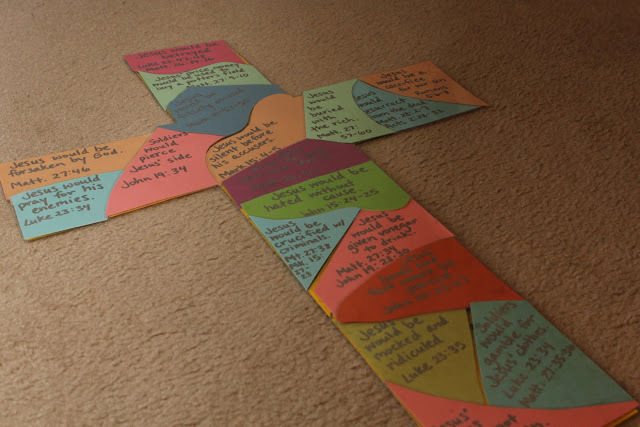 I wrote the 18 OT prophecies on a cross that I cut out of poster board. Then I wrote the 18 fulfilled prophecies on scraps of colored cardstock. Each day, starting with #1 Scripture above, we will first read the OT prophecy and then we will read the NT fulfilled prophecy.